There have been a bunch of new multiple-item value deals lately. 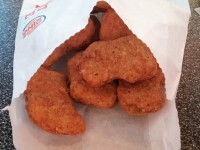 We have the Wendy’s 4 for $4 deal that started the trend. 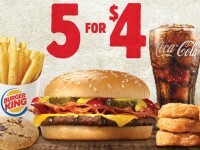 Then we have the Burger King 5 for $4 deal and the McDonald’s McPick 2. 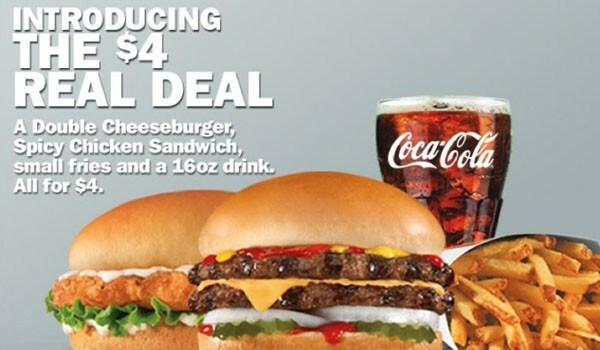 Now Carl’s Jr has entered the fray with their very own 4 for $4 deal called the $4 Real Deal. The Carl’s Jr/Hardee’s deal includes a Spicy Chicken Sandwich, Double Cheeseburger, small fries, and a 16-oz drink for $4. I actually really like this deal. Unlike the Burger King and Wendy’s deals, this comes with two burgers instead of a burger and nuggets (for anyone asking, a burger is always better than nuggets). This is plenty of food for lunch, is probably a better deal than the other two. 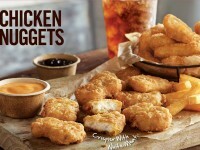 McDonald’s though might have them beat in terms of flexibility and value.